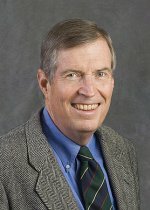 Dr. James "Jae" Edmonds of Pacific Northwest National Laboratory accepted an invitation to join the Rutgers Energy Institute Advisory Board. Edmonds is a Laboratory Fellow and senior scientist at the Joint Global Change Research Institute, a collaboration between PNNL and the University of Maryland in College Park. His research addresses energy, technology, the economy, and climate. For more than three decades at PNNL, he has guided the development of the Global Change Assessment Model, a community model used to study the consequences of and responses to global change. Edmonds is a Fellow of the American Association for the Advancement of Science and has received honors from the U.S. Department of Energy and the U.S. State Department. He was part of a team that contributed to a Nobel Peace Prize in 2007. The Rutgers Energy Institute, or REI, involves faculty from five schools at Rutgers University-New Brunswick. REI Director Paul Falkowski said he sought Edmonds' expertise to help the institute better serve the clean-energy sector in New Jersey—home of Rutgers—and the United States.